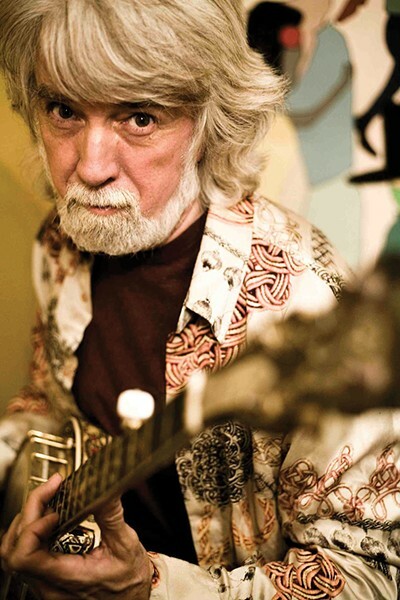 Nitty Gritty Dirt Band founder John McEuen always finds his way back to his roots. "Americana" is a handle that's bandied about quite a bit, but few musicians put it into practice like John McEuen. Just over 45 years ago, he helped assemble some of the living legends of country, folk and traditional music—a lineup that included such venerable musicians as Doc and Merle Watson, Roy Acuff, Earl Scruggs and Maybelle Carter—to record with his group, the Nitty Gritty Dirt Band. Those sessions became the band's landmark album Will the Circle Be Unbroken (United Artists, 1972), a fusion of old and new Americana that materialized well before the term came into popular use. While the majority of McEuen's 50-year career has been chiefly devoted to the Dirt Band, he often ventured beyond the realms of his day job to enjoy a solo excursion. Made In Brooklyn (Chesky, 2016), McEuen's latest effort, is the best example yet. It not only demonstrates a reverence for his roots, but also his determination to carry on the legacy the Dirt Band began in Long Beach, Calif., in 1966—and continues today. The album contains covers of Dillard & Clark's "She Darked the Sun," Johnny Cash's "I Still Miss Someone," his own "Acoustic Traveller" and Warren Zevon's "My Dirty Life and Times," giving the songs a contemporary treatment that never dimminishes their vintage standing. He also revisits the band's classic "Mr. Bojangles" that adds new eloquence and assurance. McEuen says the album reflects Circle's original spirit and spontaneity, proving that, despite its age and origins, great music never goes out of style. He says his intent was to use the album's best elements, along with the things he learned in the Dirt Band, to take the listener on a musical journey. "I told the other players that this was going to be like us making our own Circle." This is the second time McEuen has looped back to a solo career, which is how he started. "I toured solo even before the Dirt Band started, when I was 19 or 20," he says. "I was going to school and trying to figure out how not to work." In 1986, after playing with the Nitty Gritty Dirt Band since its founding, he took a lengthy hiatus, and spent much of the '90s focusing on his own projects. Utilizing his skills as a multi-instrumentalist and songwriter, he released four solo albums, scored and produced films, compiled the songs for the award-winning television miniseries The Wild West and performed with A-list artists like Bob Dylan, Dolly Parton, Jerry Garcia and Johnny Cash. He also produced The Crow: New Songs for the 5-String Banjo, a Grammy-winning album by Steve Martin, whom he's known since both were seniors in high school. Since rejoining the Dirt Band in 2001, McEuen has divided his time between touring with the group, performing solo, hosting his show The Acoustic Traveller on Sirius radio and serving as CEO of syndicatednews.net, a news organization he describes as "a combination of The Whole Earth Catalog, Rolling Stone and The Huffington Post." At an age where most people are settling into retirement—he turns 72 this year—McEuen is actually picking up his pace. For all his extracurricular activities, it's clear McEuen loves nothing more than performing. "One of the interesting things about this situation—I think they call it a job—is that it's more fun than ever," he said in a 2014 interview. "People appreciate the fact that you're still around and not necessarily trying to prove anything. I've played shows with the Dirt Band in front of 8,000 people and shows with only 60 people on my own. Either way, it's always fun. "I got a job called 'playing.' I always tell people, 'You're paying me to get here. I play for free.'"